As a project manager, do you sometimes feel that even though you’re doing everything “right”, the others are not equally contributing to your project? Or, that inspite of trying to manage things well, someone else seems to have a greater influence over everything that happens? Or, are you wondering what are the leadership skills and techniques required to be an efficient project leader? To be able to efficiently lead a project, the project manager has to first have a well-defined project goal. Without knowing the direction, the leader cannot figure out which way to go. If goals are not defined or poorly-defined, then there are high chances of project failure. Moreover, to analyse the progress of the project, the manager would need to compare the output with the goals. An effective project leader has to make his team-mates know that he likes them and cares for their needs. He should always find ways to appreciate and motivate his team to give their best to everything. The fact is that if your team-mates are fond of you, they would go to any lengths to help you with the project and face all odds alongside you. Build a good rapport with them so that they open up to you. If you want others to follow you, first you have to set an example. Therefore, practise what you preach. After all, action speaks louder than words. Keep away from the blame game and ensure that each one is accountable for the activities assigned to him. A project manager needs to create an amicable atmosphere where people enjoy working. He should shower recognition and appreciation on team members who are performing remarkably. Having a positive attitude and an enthusiastic personality really helps in achieving the desired results. A project manager must lead with high energy. He needs to be enthusiastic about his project and make others feel the same and encourage his team to give their best. Building a competitive environment at the workplace will ensure that everyone contributes to the success of the project and help weed out complacency. It is imperative that a project manager analyzes the data and project statistics to understand where the project is heading. It also helps him to understand various problems and equip him to find effective solutions. The project manager should discuss the problems with his team and see how they can collectively deal with the situation. A leadership style is a leader’s style of providing direction, implementing plans and motivating people. There are various kinds of leadership styles which can be applied by project managers. But, the most common leadership styles are- Autocratic, Democratic, Paternalistic, Transactional, Transformational and Laissez-Faire. It is in the hands of the manager to change his leadership style to adapt to the particular demands of various situations or the particular demands of his team-mates or the particular challenges facing his project. Project managers are trained to control the three key project influences- scope, budget and schedule. However, it is equally important that he understands the nuances of team dynamics. 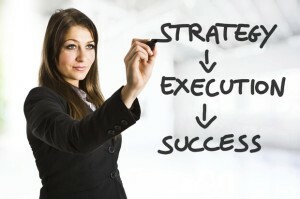 A successful project manager needs to be well-equipped with ample leadership skills and techniques as well as incorporate the appropriate leadership style. In order to take a team towards extraordinary performance, he needs to understand the difference between management and leadership. Construction Project Management includes the responsibilities of a traditional project manager plus the skills and expertise of the construction industry in order to produce a safe, practical and economically feasible project. Management of a Construction Project is a very complex and challenging task because construction projects are quite unpredictable due to the changing dynamics of the project. Therefore, it is of utmost importance that the Construction Project Manager (CPM) possesses strong communication skills, organizing skills, problem-solving skills and knowledge of the construction process. He should also have appropriate knowledge about budgeting, scheduling, resolving conflicts and handling legal issues. A Construction Project Manager (CPM) ensures the project is tracking along the plan. The construction project plan is created by thinking of innovative design concepts which will help to reduce cost and improve the aesthetics and functionality of the constructed facility. Also, these innovative design concepts need to be checked for their technological and economic viability. The CPM has to finish the project on time and on budget and ensure that his team completes it according to building codes, plans and specs decided by the client. Project planning:- Defining the project goals and its scope, budget, schedule and timelines. Project management:- Overseeing all aspects of the project which includes quality management, material management and cost management. Cost management:- Ensuring efficient use of resources such as labor, materials and equipments. Time management:- Implement project tasks as per the plan and schedule. Quality management:- Working in conjunction with project engineers (quality controllers) to check the quality of work done on the site. Contract administration:- Setting performance requirements and selecting project participants. Safety management:- Identifying risks and reducing accidents on the site to improve productivity and project ROI. The owner of a construction project, shares project information with a large group of contractors or sub-contractors to solicit bids. Then the selected contractor estimates the cost and fee based on the project owner’s requirements of the construction facility. This amount has to be paid by the project owner to the contractor in order to complete the project. The project owner can choose between closed bids and open bids. Once he receives bids for the project, he can select the contractor through low-bid selection, qualifications-based selection or best-value selection method. Lump sum:- The project owner and contractor agree on the overall cost of the project and the owner is required to pay that amount irrespecive whether the project succeeds or fails or if it exceeds the initial estimate. Cost-plus-fee:– The project owner has to pay the total cost along with a fixed percentage of the total cost as contractor fee. Guaranteed maximum price:– The guaranteed maximum price contract is the same as the cost-plus-fee, except that the price is pre-determined so that the total payment does not exceed set limit. Unit price:- This contract is chosen when both parties are unable to determine the cost ahead of time. The contractor calculates specific unit price to estimate overall cost. Project Management is a niche skill that has been witnessing increasing demand due to the scale and complexity of projects being undertaken now-a-days. One of the main advantages of being a project manager is that your skills stay relevant across various industries. Project management is a multi-industry certification, giving the holder of the certification the flexibility to work in any industry and also to change industries at will. It is estimated that more than 40 million new project managers are needed by 2020 across the globe. The PMI® conducts the Project Management Professional® examination. It has been doing specific research in this area and it concluded in its annual report that there is a growing demand for Certified Project Management Professionals. As per the 2014 report release by PMI®, there will be higher demand for practitioners of project management in the near future. However, the demand would be in terms of the opportunities available and skills required and vary based on the industry and geographical location. For example, in countries still recovering from global meltdown, there is an increased demand for project managers to think strategically and execute projects effectively. In developing countries like India, there is a growing requirement for project managers in IT, Construction and Manufacturing sectors. Due to the competitive and dynamic business environment of today, more and more businesses are adopting project management as a way to do business. Certified Project Management Professional (PMP) roles have been growing at over 11% per year for the last seven years. Compliance rules are beginning to appear making it mandatory for organizations to meet standards in project management. Government agencies such as the FDA and Federal Highway Administration are using project management as a factor while selecting service providers. There’s a great need for non-renewable energy due to depleting natural energy resources. This has led to a large number of projects undertaken in solar energy, wind energy and geo-thermal energy. Project Managers are required to efficiently manage these projects. Plus, new natural energy resources are being discovered. Discoveries of new oil fields are leading to a lot of large-scale projects, thereby demanding more project managers. Improving healthcare facilities along with lower costs is the main focus area of this industry. In the United States, the Patient Protection and Affordable Care Act has spurred competition in the health insurance sector. By 2017, Mobile Healthcare is expected to generate revenue of USD 23 billion. According to CIO Insight, project managers with strong IT skills will find opportunities in healthcare projects that use mobile devices, social media and data analytics to unify services across multiple channels. Construction industry is estimated to increase by more than 70% to US$15 trillion by 2025 and it will be concentrated in China, India and the United States. Project managers with experience in the construction industry, will do well in the Asian job market as Project Management processes are not very mature in Asian countries. India, for example, needs approximately 1 million skilled project managers to fill gaps in large construction projects that require knowledge competence and complex regulatory compliance. 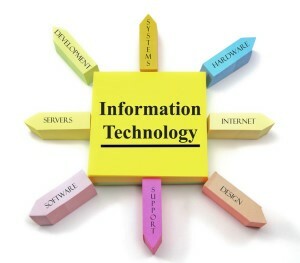 Technology sector is the most powerful job engine in various countries. Multinational IT corporations based in the United States are rapidly taking over smaller IT companies and expanding into emerging markets in Asia, Africa and the Middle East. In order to execute complex IT projects in different cultural backgrounds, there’s a great need for project managers with a standardized set of skills to turn strategic vision into tangible goals and higher output. Australia has three operating liquefied natural gas projects. Plus, there are seven more under construction with an investment of more than AU$200 billion. Therefore, around 375,000 new project managers would be required by 2020. It is estimated that 582,366 new project managers would be needed across industries by 2020. Brazil’s 10-year energy plan will attract US$133 billion in investments. There are huge opportunities for project managers as two-thirds of employers in Brazil can’t find enough skilled project managers. Deep-sea oil-drilling in the North Sea region was expected to generate 50,000 new jobs in 2013. By 2030, the North Sea oil projects will need more than 100,000 new workers in Finance and Project Management. It is estimated that about 1.6 million new project managers would be needed in Germany by 2020. 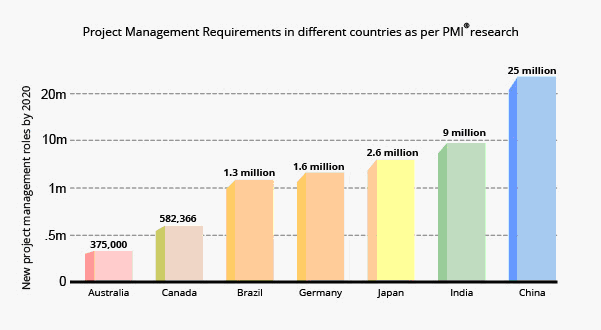 According to PMI® Project Management Talent Gap Report, 2.6 million new project management roles are expected to be created by 2020 in Japan. The US$100 billion Delhi-Mumbai industrial corridor development project is India’s most ambitious infrastructure project. Due to this, around 9 million new project managers are required in India by 2020. China boasts of its largest high-speed rail system and is the fastest growing economy in the world. With an annual investment of US$100 billion, the country is planning to expand this rail network. Nearly 25 million project management roles will be generated by 2020. Project management is a task of great responsibility in modern organizations. In order to execute a project successfully, the project manager and his team should be supported by a set of tools. The most important and useful tool is the Project Management App, which helps in increasing the overall efficiency and productivity of the business. There are scores of PM software you can choose from. If you’re looking for a basic tool to manage tasks, streamline communication and share files then steer clear from programs that offer extra unnecessary features. If the software is too overwhelming or complicated to use then your team will hesitate to use the software. In that case, the project manager will have a hard time to get his team to efficiently use the project management system. Whichever project management tool you decide to go with, give your prospective system a thorough test drive to ensure that the solution is simple and requires minimal support from IT to make the transition easier. The workforce of today is dynamic and increasingly mobile. Therefore, choose a project management app that is mobile optimized. This will allow your team to be more productive and efficient even while they’re “on the go”. A mobile-optimized platform means employees can use their smartphones and tablets to access files and information and collaborate anytime, anywhere. 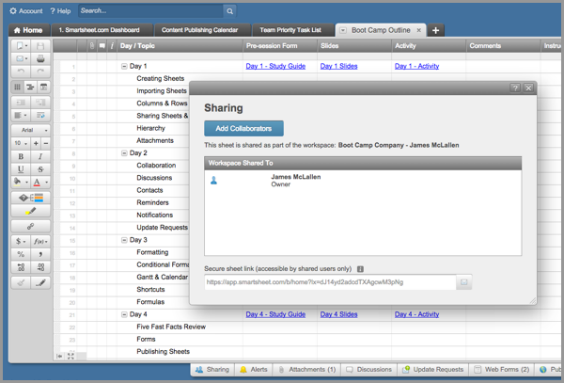 File sharing is an important component for collaboration. Whether the data is hosted on local servers or in the cloud, file sharing should provide data security as well as an easy interface that keeps everything organized. The project management app should be able to integrate with other key apps to facilitate project costing, expense reimbursement, payroll and other processes. PM software should support and automate excellent project management processes, not replace them. You have to set realistic expectations from the system. It’s good to know that a project management tool mainly provides three basic functions: data acquisition and management, decision support and reporting & graphing. Based on the task assigned to a team member, you have to provide access to specific capabilities with the PM system. Rolling every capability out to every employee on day one may be disastrous. As and when the project team expands, you may incrementally roll out everything to small sets of users or roll out specific capabilities to all users. Before you roll out the software, make sure people are trained on at least the basic features and provide advanced training to those who require it. If you’re using a project management system with integrated communication tools, then you need to make sure that all team members use only the PM software and not any other system. This will ensure that the entire project team knows each and every aspect of the project and there is no communication gap. If your PM software has an in-built real-time information and reporting system for status and margins, utilize it. These metrics will help you to track the progress of a project and make it easy to make necessary adjustments to ensure profitable and on-time delivery. Project management isn’t easy, regardless of the industry you’re in. Even though the project management software remains one and the same, it is the ability of the project manager (PM) to efficiently manage various people and resources that makes a project successful. However, even when an individual has a project management professional certification, there’s no guarantee a project will succeed. Project management software is an integral part of a project’s success. Any myth regarding project management tools can hamper the progress of a project. Incorporating project management software may be a bit expensive in the beginning. But once it is developed according to your business needs, it will turn out to be a profitable investment. How? Project management software can be used for managing multiple projects. Plus, it adds to the overall business efficiency and profitability, thereby saving other costs. Budget-conscious PM’s often challenge the need for project management software. They believe that it is more easy and efficient to just get on with the project. But the fact is that these tools add value and efficiency to the project by helping PM’s in meticulous planning, proper utilization of time, money and resources, effective communication, risk management, etc. This will in turn save time and money in the long run. More often than not, this myth is propagated by those who despise “change”. Usually, project managers have a reputation of using process-intensive methodologies that favour ideology over pragmatism, which can slow up the decision making process. The fact is that project management software helps PM’s to efficiently run a project by being able to plan effectively and ensure optimum use of time and resources. The PM should not only be able to determine the finer details of the project but also understand how the project supports organizational goals. It is equally important to have a strategic perspective of the project. Project Management software comes handy when it comes to execution of projects based on the organization’s strategic goals. Project management software is versatile enough to be used to manage any project across various industries and fields. Project managers need not be an engineer to manage a construction project or an IT technician to manage a software development project. However, the PM should have basic understanding of the industry and know how to manage a team. You may have spent a lot of money setting up a project, hiring an experienced team, purchasing project management software, etc. However, if the project isn’t meeting its desired business goals or not performing as per the plan, there is nothing wrong with stopping the project after it took off. If the project has become unviable, it’s better to stop fighting a lost battle. This would help in reducing additional losses. This myth springs up from the notion that project management software leads to process automation. Using PM tools does not necessarily mean doing away with manpower. It may increase overall efficiency but human resources are needed when it comes to handling clients and vendors, sourcing materials and completing day-to-day tasks as required by the project. Today’s competitive business environment makes the use of project management software inevitable. When you select particular software, you may not always be right in the first instance. That’s quite okay. If your business is dynamic, you need to ensure that the project planning tool should be scalable to keep up with a growing team and meet changing requirements. Frequent communication between various members of the team as well as the client is the perfect way to keep a project on track. When team members are in different locations, scheduling regular calls in addition to other forms of digital communication ensures open and clear communication takes place. Therefore, project management software and communication tools go hand-in-hand. Secure team chats and Email Apps which are integrated with the workspaces can help save a lot of time. Project management software plays a crucial role in the success of any project. However, there are other factors which are equally important for a project’s success such as efficient project managers, co-operating team members and clients, available resources and materials, etc. Also, success of the software implementation depends on a number of factors including training, characteristics of the software and integration with the current workflow and management processes. IT Project Management is a sub-discipline of project management wherein information technology projects are planned, executed, monitored and controlled. IT project management includes overseeing activities such as hardware installations, software development, network upgrades, cloud computing, data management, etc. 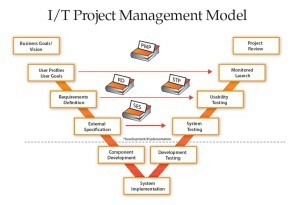 IT Projects are the most challenging projects; IT Project Managers need to use specialized project management techniques and the best task management tools to assist in leading the project towards success. Lack of professionals with specialized IT project management experience. Complications arising because of incompatible technology or malfunctioning hardware. Infrastructure changes that impact security or advancement in technology during project execution. Poor communication between developers, end-users and project managers. So how does an IT project manager translate a customer’s business needs into a system that solves the customer’s business problem? The key to success would be sound project management. The first step in IT project management is to define the project’s vision and scope. During the project’s initiation, criteria for success or failure of the project need to be established. For example, to be considered successful, a project may have to adhere to certain quality standards (such as Six Sigma or an ISO program), complete as per budget, meet a particular deadline or deliver specific functionality. 1. Predictive life cycle: This approach is the most commonly used project life cycle for IT. Here, the project manager defines the project’s scope, schedule and expected costs before the execution of the project. For the project to move from its initiation to its closure, each phase must begin and complete in the specific order as per the prior plan. 2. Iterative life cycle: In this approach to IT project management, the scope of the project is defined early in the project, but the cost estimates and timelines are planned at a later stage. Once the project is executed, the cost and timeline estimates are created through iterations in planning. 3. Adaptive life cycle: This approach uses an iteration of planning and executing, however, the planning process lasts for two weeks. Change is always expected and adaptive life cycle is ideal for managing software development projects. The various life cycles use the concept of phases to take the project work forward. A single phase specifies the type of work that will be completed in that portion of the project. The management style of project manager, the organizational goals and client requirements, greatly influence what type of project life-cycle the project manager will choose for a project. However, irrespective of management style, project planning software plays an important role in the success of IT projects. Project Management Apps can be used to manage all types of projects, regardless of the industry. But, project management software has far more applications in the E-Commerce business given that it is a booming industry and faces many challenges. The E-Commerce Project Manager helps the organization in dealing with a wide spectrum of different aspects of business operations pertaining to sale of goods and services online. This article helps to understand how to successfully launch E-Commerce Projects. Adding new features or functionality to your project after it has started can create unnecessary hurdles. However, due to the dynamic nature of E-Commerce business, scope creeps are inevitable. Therefore, it is essential to have a project manager as a part of the consulting team to help manage scope creeps. The project manager must assist in reviewing the effects of the desired changes to the timeline and budget of the project. He needs to revise the company’s estimates and deadlines after considering these changes. At a later stage, the project manager may want to rely more on internal technical staff and less on outside vendor. Therefore, while selecting a vendor, you have to disclose your plans about the extent of their involvement and ensure that they ready to help with the transition process when the time comes. The process of transferring knowledge about the inner workings of the website is as equally important as designing the original site. Therefore, the project manager needs to plan and outline the transition process by sitting down with the vendor and internal technical staff and ensure that everyone agrees to the strategy. If consultants are hired for the major portion of the E-Commerce site’s initial development, then it is recommended that you let them finish the development work before you involve your internal staff into the main stream of the e-business project. Once the marketing site goes live, get your internal staff into the next phase of development and have them work side-by-side with the consultants. The second phase of web development includes a variety of features such as search, sales, checkout, catalogue, navigation, customer service, etc. Your developers will get exposure to various portions of the site while the consultants are still available to explain how things work. If you plan to divide the work between the consultants and your internal staff, then the knowledge transfer process occurs throughout the project. The reason why you hired consultants is not because you lacked internal staff, but because your internal staff lacked adequate knowledge to complete the E-Commerce site’s development on their own. If this is the case, your staff should work on the project along with the consultants, right from the start. The consultants should not only develop portions of the site but also mentor your internal developers during the development process to hone their skills and experience so that they can handle contingencies in future. Remember, the project to develop and launch an E-Commerce website is just the beginning. The team you choose to work with should be a long term partner and work closely with you to understand new possibilities & requirements and help you capitalize on opportunities. Use the best task management software to keep your project on track. In order to achieve successful completion of projects, an organization needs to engage a talented project manager along with the application of appropriate project management apps. The success of a project depends on various factors such as meticulous planning, proper utilization of time, money and resources, effective communication, risk management, etc. Therefore, it’s important that the project manager knows how to balance all the elements of the project. Hurdles in project management are inevitable; however, an efficient project manager knows various strategies to ensure projects are completed within the allotted time and budget. The first step is to note down the scope of the project. The scope has to be detailed in nature and approved by all stakeholders. Make sure the scope includes interim milestones and their deadlines and a budget worksheet that represents the total time involved. This way you and your client can better interact while tracking the progress and manage scope changes effectively. Even if a new project appears to be easy, there are always unforeseen hurdles waiting to delay the project and blow its budget. If clear objectives of the project are set at the beginning of the project then there are more chances of the project becoming a success. The project manager needs to meticulously plan how to successfully launch and complete the project. This will help him to organize the required resources such as an efficient team, time, money and other material resources. Effective planning not only keeps the project team focused and on track, but also keeps stakeholders aware of project progress. It is advisable to use the best app for project management so that you can easily track the progress and ensure that all team members are on the same page. Plus, when everyone is online, geographical distances or anyone being out of office wouldn’t hurt the project. The project manager should foresee possible risks to the project during the planning process itself. This way he can be proactive and work out ways to manage those risks when they arise. It is essential to maintain a risk log with an action plan for the risks that the project could face. Everyone in the team should be updated on this so that the team is confident when facing project risks and help the clients feel comfortable with the project’s progression. Communication is the best way to prevent problems from occurring. Frequent communication with all members of the team as well as the client is the perfect way to keep a project on track. When team members are in different locations, scheduling regular calls in addition to other forms of digital communication ensures open and clear communication takes place. If a project does not have strong closure, it will continue to consume resources. The project team should take the approval of the client with regards to all critical targets and deadlines being met. Confirmation of the project delivery, testing and release must be agreed upon and signed off. This will ensure that there is no ambiguity while closing a project. We have seen how a vigilant management, smart planning and strong project closing can ensure project success. There are many project planning apps which help in implementing most of these strategies. Project Managers use project planning tools to be able to effectively plan, schedule and manage their projects. Project Management Apps help project managers (PM) who juggle a number of activities to stay organized and keep track of the project at all times. Using project planning apps can ensure smooth running of the business since the PM can easily collaborate on projects, delegate tasks, set timelines, track projects and communicate with staff, clients and vendors. There are currently innumerable apps available as project planning tools for mobiles. However, the Project Planning Pro is the most versatile app as it is compatible with all types of operating systems.Hence, it can be used on all types of devices such as the iPhone, iPad, Android Phone, Android Tablet, Windows Tablet and Mac Computers. The workforce in today’s times is dynamic and increasingly mobile, project planning apps help PM’s to streamline and simplify tasks and ensure proper execution of the project. 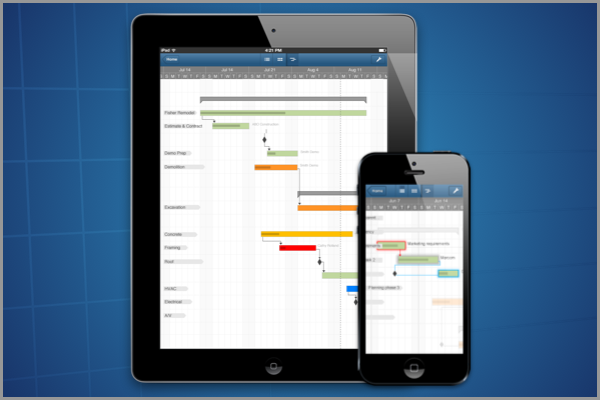 Project Planning Pro is the ultimate “task, resource and project management app”. It is the best personal project management tool which helps you to plan and manage simple as well as complex projects. This simple and easy to use tool helps you to create a simple project in less than 5 minutes with its ready to use templates. The app gives you the flexibility to manage projects anytime, anywhere. Now you can easily manage projects while on the go; it doesn’t matter whether you are in a meeting or out of office. This app is designed to ensure complete project mobility and is an ideal option for project managers who are looking for a project management tool on mobile devices like tablets and smartphones. Project Planning Pro has been the recipient of Best App Ever Awards 2013 in the “Best Business App” category as a Runner-up as well as Appsters Awards and Best Enterprise App in 2014. The app supports import of project plans in the XML format created using either Microsoft Project or Project Planning Pro App. Create project plans or import existing Microsoft Project plans and edit/update on the go. 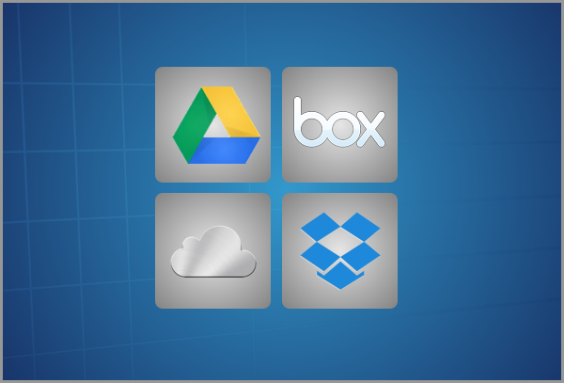 It allows import/export of plans from/to Dropbox, BOX, Email and iTunes. Share projects as PDF, CSV or XML files. Plus, you can export plans as XML file back to Microsoft Project. 4 types of task links – finish-to-start (FS), start-to-start (SS), finish-to-finish (FF) and start-to-finish (SF). Provides Multiple Views to analyse and review plans. Filter tasks by task name, duration, % complete, start date, finish date and resource. Using project planning tools on mobile devices ensures easy accessibility to various project team members who may be scattered across different geographical locations. So each team member is up to date with the project and can quickly deal with issues when they arise. 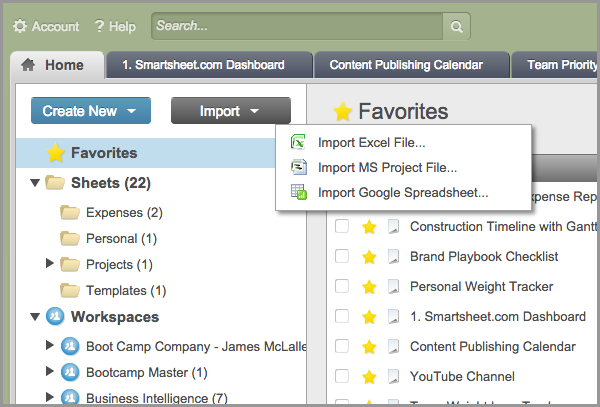 Online project management tools easily integrate with other products such as GoogleDocs, SalesForce, etc. For projects which require a lot of documentation, document sharing enables project team members to edit and update status reports for better transparency and communication. Online project management software reduces per user license costs since purchasing multiple licenses can be avoided. Cloud based project management tools offer flexibility as usage is based on the organization’s needs such as knowing project risks, meeting deadlines and tracking budgets. 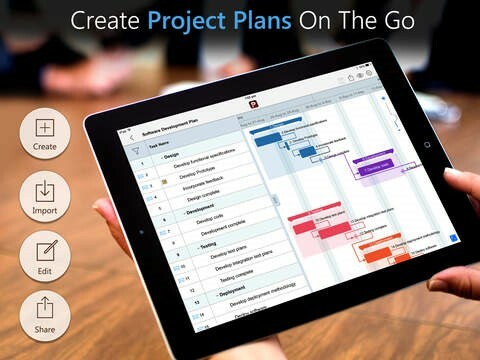 Become a smart manager; use the Project Planning Pro App to drive your project forward. It can be used for all types of projects, regardless of the industry. Many times, Mac users find themselves needing to find alternative software for their Mac, because, most of the programs are not Mac friendly. Unfortunately, Microsoft Project is one of the app not available for Mac computer. Microsoft Project is perhaps the most popular project management software that is used by many Project Managers (PM). Since this application is not supported on iOS, most PMs prefer using Windows systems as against iOS. The Gantt chart is a core feature in Microsoft Project, but since that program only works on PCs, Mac users often have to download a template or create their own Gantt charts using Excel. While a Gantt chart can be created using Excel, there is still a need to manually update it and it has limited features. Additionally, these options do not offer the ability for resource management or critical path, which are common features in Gantt chart software. Listed below are some common features that a PM would look for in a good Project Management Tool for Mac. Timelines are at the heart of a Gantt chart and should work the way the PM does. When creating timelines, they should handle dependencies, which let the PM identify when one task needs to be completed before another one can start. It should also handle predecessor tasks – a feature that lets one create dependencies between tasks. The timelines should automatically get updated as events change in the project. All the stake holders in a project team may not be using the same program as the PM. The PM should make sure that the project management application that is selected to run on Mac, is able to support multiple file formats. Since Microsoft Project is such a widely used program, project management software for Mac should import and export Microsoft Project files. It should also import and export other popular file formats such as Adobe PDF and PNG image files. With so much work getting done in the cloud today, the PM should select a project management program that syncs with popular cloud services such as iCloud, Google Drive, and Dropbox. One of the benefits of saving and accessing a project plan from the cloud is that it will be accessible on web-enabled devices, so there is not need to be at the office to check on the status of a project. · Annotate tasks by adding text to the chart. The project management application should enable the PMs with all the features listed above. A project plan is not just for project managers, but also applicable to all the team members working on a project. Hence, sharing features is an essential requirement in any project management software. This feature needs to be built in. The team members should have the ability to leave comments and chat with others looking at the chart. With that in mind, in addition to being able to work on a Mac, the program should support multiple platforms such as Linux and Windows. This will give people access to the project plan regardless of the type of computer they use to access it. If the PM is a Mac user, then it is quite possible that the PM may have other iOS devices such as an iPhone or an iPad. When selecting the project management application, the PM should make sure that the plans can be viewed on the other mobile devices. The project plans should be editable on the mobile devices as well. The latest version of iOS should be supported by the project management software. The Project Planning Pro is the right solution for PMs as it comes loaded with all the features listed above. It is a simple and easy-to-use tool to plan and manage any kind of project. It can be used to manage the simplest to the most complex projects. The app provides the flexibility to manage project plans during meetings or when out of office. It is designed to ensure complete project mobility. 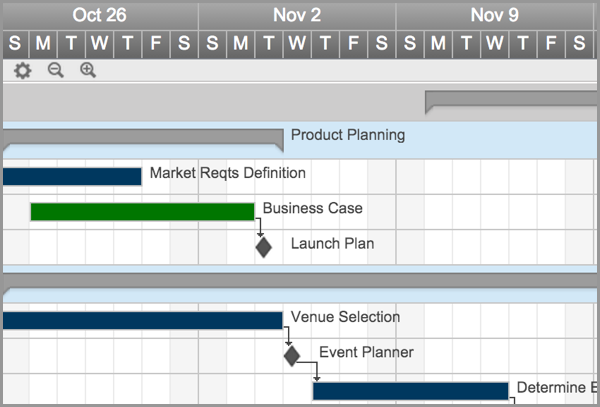 Project planning Pro is just what PMs need to efficiently manage and execute projects.